Certainly the easiest way to get started with space communications is to listen to transmissions from the ISS' amateur radio station. Actually it is easier than setting up a satellite dish for TV reception. Voice contacts, usually with schools. You will probably only hear the ISS, not the school, as the ground station will usually be out of your range and not use the downlink frequency. 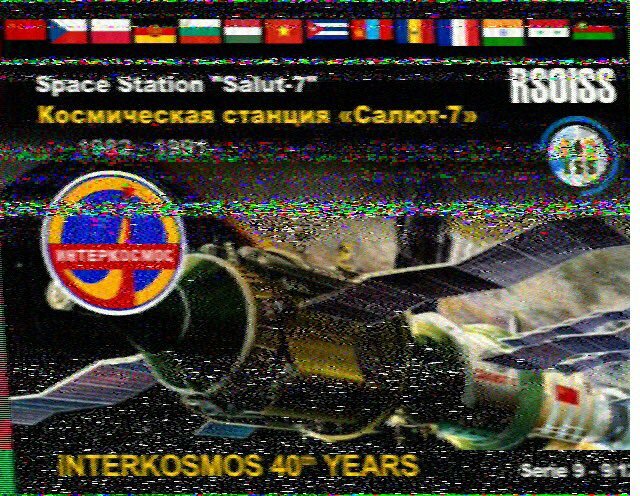 SSTV - Slow scan television. The word television might mislead the uninitiated. SSTV looks and feels more like colour fax. All of the above are transmitted in FM. This allows very cheap equipment to be used for reception. I used both my somewhat aged FT-290 and my rather new, dirt cheap Baofeng UV5R. That didn't make much of a difference. 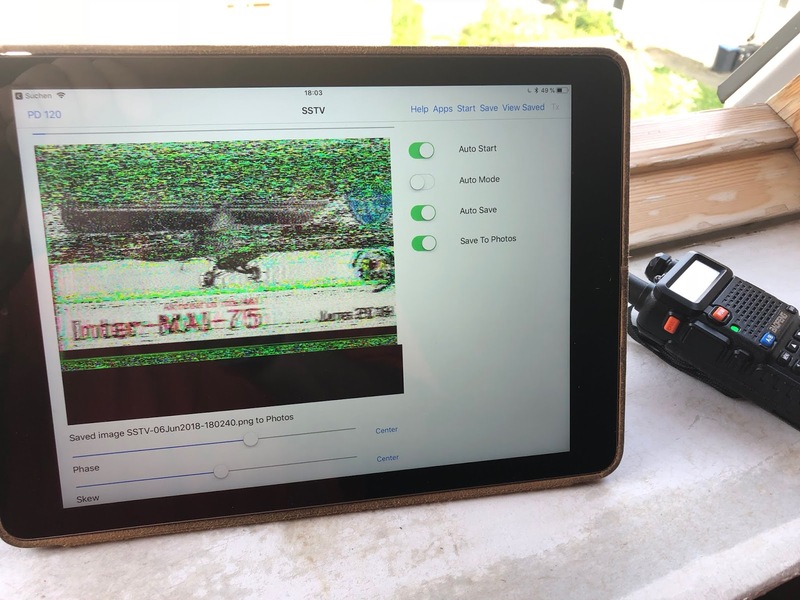 Having been issued an iPad and an iPhone by my employer, I use Black Cat Systems' SSTV App for reception. A directional antenna would greatly improve the signal quality. My 4-element Yagi is currently stowed away in the garage (and has been for the last 10 years). There are several web sites and twitter users constantly sending updates when interesting stuff happens. Specifically for SSTV, I recommend the ARISS SSTV Blog. The next thing you need to know is if/when the ISS passes over your location. The ISS Tracker Website can help there, so can the free GoISSWatch App for iOS. I tried receiving the space station with a SDR-RTL DVB-T USB dongle. This is fine for local ham radio repeaters, but with the very poor antenna that came with it, the ISS barely left a trace in the spectrum. A Sdrplay RSP2pro should arrive any day now with the mail. I'll see how that compares. In some countries, even owning ham radio equipment without an amateur radio license is illegal. Transmitting without the proper permit and knowledge of frequency assignments is not only illegal, but also extremely stupid. Get yourself a ham-license if you want to do that. It is worth the effort.